Travelers are milling about, but there’s no information desk, no doorman, no bellman or concierge, just two harried-looking workers at a front desk on the second level. The man who checked me in put his phones on hold when I asked for someone to accompany me upstairs…. Meanwhile, the president is stuck in his games and his history. He should have seen unemployment entering a crisis stage four years ago, and he did not. At that time I was certain he’d go for public-works projects, which could give training to the young and jobs to the experienced underemployed, would create jobs in the private sector and, in the end, yield up something needed—a bridge, a strengthened power grid. He instead gave his first term to health care. 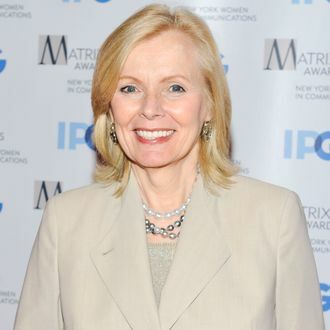 Great advice, Peggy Noonan! It happens to be exactly what President Obama did with the American Recovery and Reinvestment Act (the Stimulus), which included $98.3 billion in transportation and infrastructure spending, $41.4 billion in energy spending, and billions more on things that would be generally be considered public works. Now, perhaps Noonan is arguing that Obama should have spent more, maybe much more. Obama’s own economists would agree. But Congress wouldn’t let him. The bill needed 60 votes in the Senate to overcome a Republican filibuster, and the three GOP moderates who supported it insisted that it couldn’t exceed $800 billion. So did at least half a dozen centrist Democrats, including Ben Nelson (Neb. ), Mark Begich (Alaska) and Mary Landrieu (La.). Everyone involved in the negotiations — including liberals who favored a larger stimulus — agrees that Obama got as much as he could get.